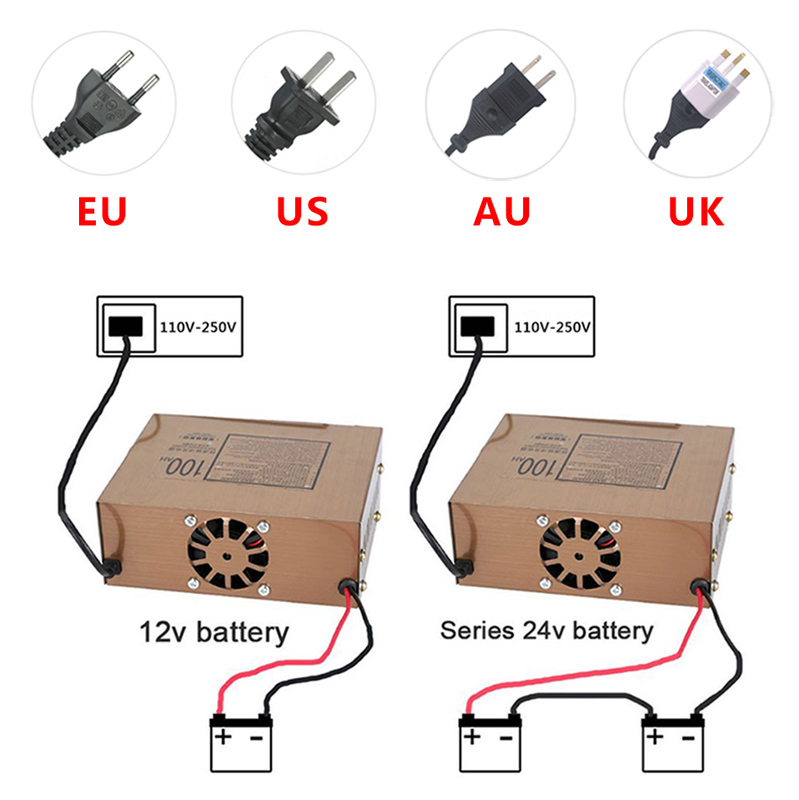 4,Constant voltage charging will be arranged to provide various protections and avoid over-voltage,over-current,over-beating and electrode-positive,ect. 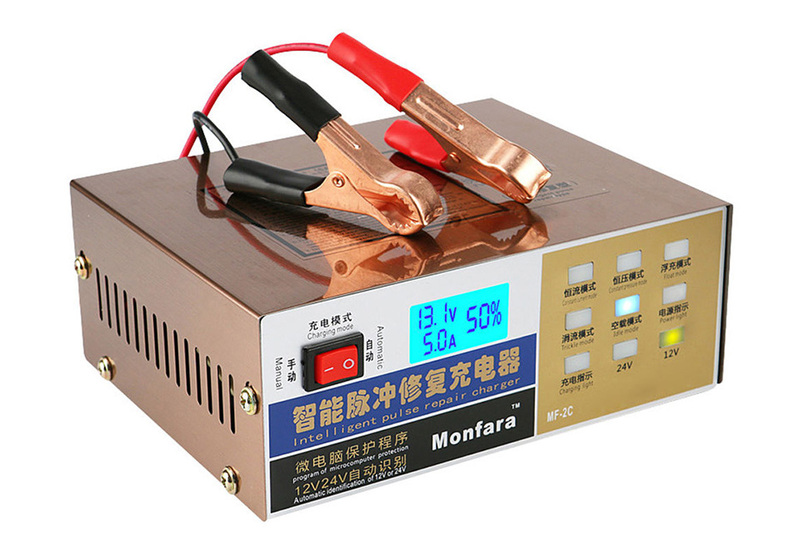 5,When the red indicator light of charging stops flashing or is dark,and as well as the current indicator fell to about 1 bars condition,the charging mode will change to floating charging,means the battery charging being finished. 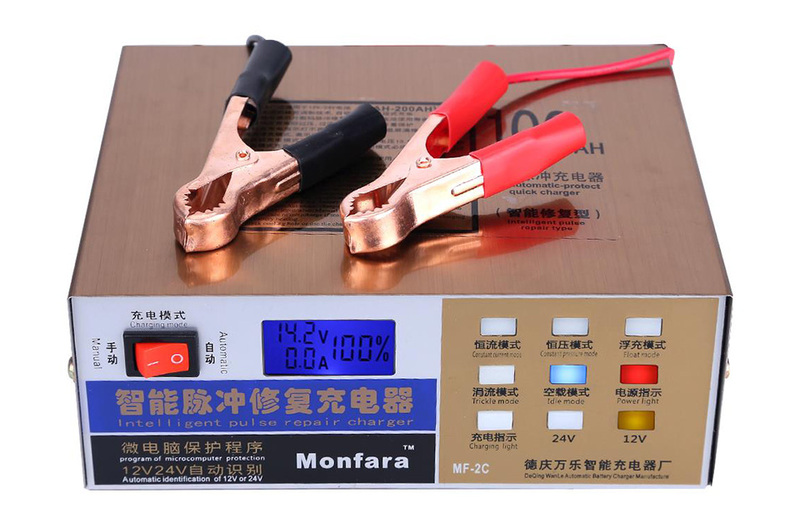 6,The 12V input when automatic charging mode,Full electric voltage of 13.8V to 14.3V,about 16V input when manual charging mode,must be artificial monitoring in case of overcharge if manual mode charging,suggest stop charging when the battery beating. 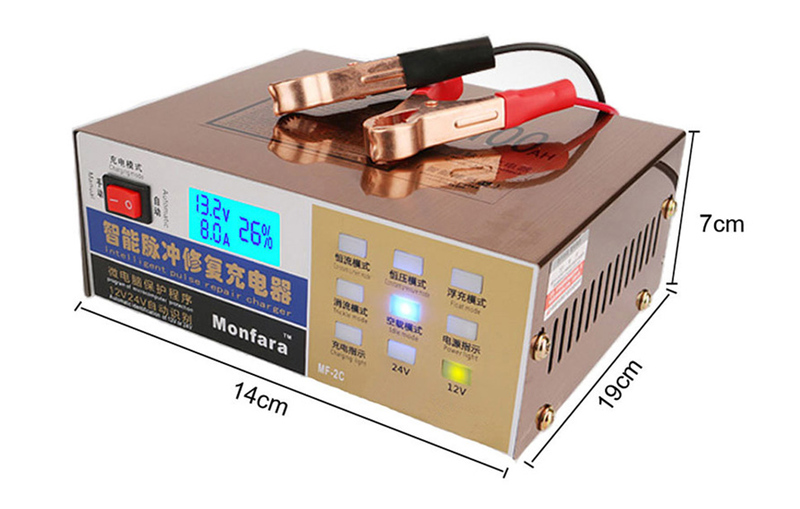 7,Do not block cooling hole or use the charger with the cooling fan off. 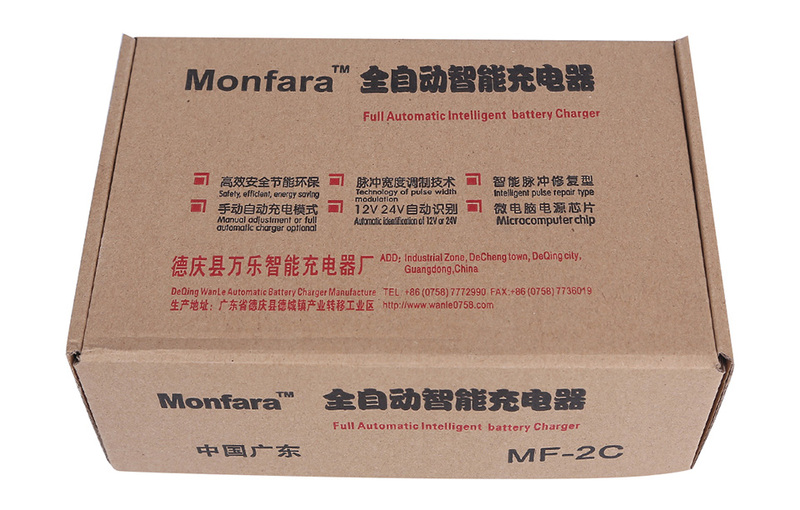 5,when the polarity of charger is adverse with battery,the charger will close automatic and has beeb alert. 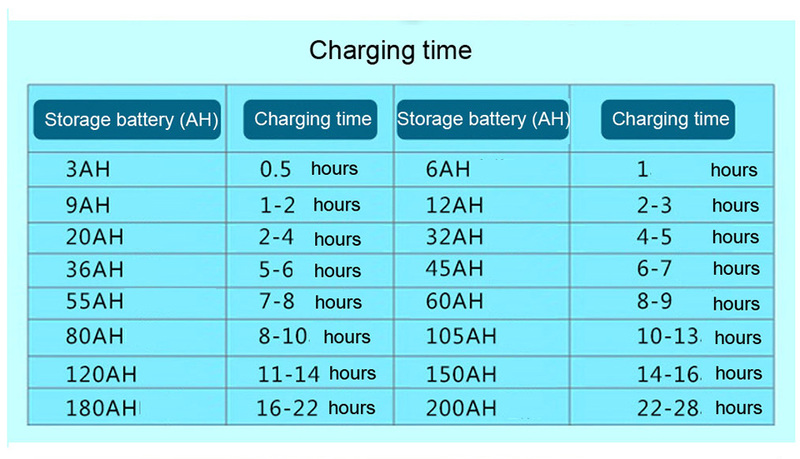 Trickle charge mode: when the battery voltage and current is approaching the set voltage and current,it will turn to trickle floating charge from automatic mode,it means charge full,also can be charged with floating mode. 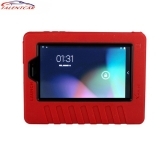 Manual: It can be used for small capacity,Low temperature(under 0 C) and large Internal resistancethe battery,charging current is bigger than automatic so it take less time than automatic,but there must has human monitoring to avoid damage battery,when the battery shell has temperature must stop charging!using manual mode can't more than 1 hour! 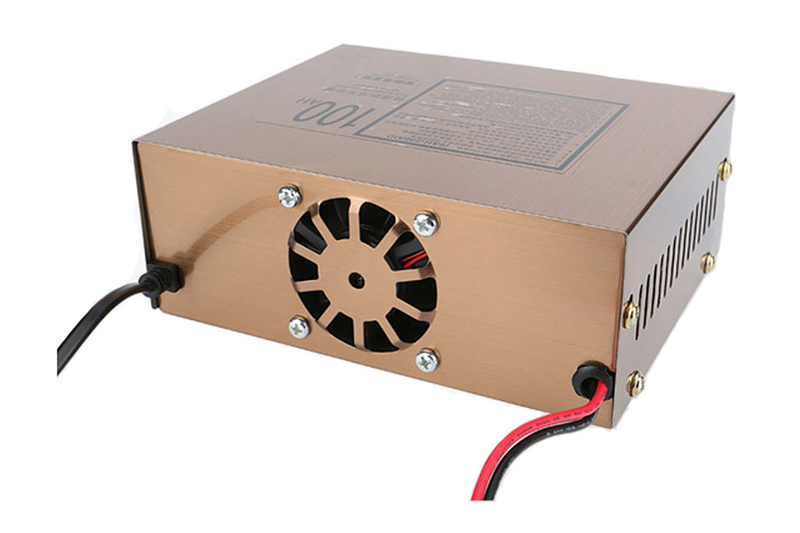 Automatic:pulg AC power first then connect battery with charger,it will recognize volgate automatic,telligent and convenient. Highly recommended:in the winter(under 0 C),use automatic mode to charge full first then use manual mode for 0.5-1 hours. 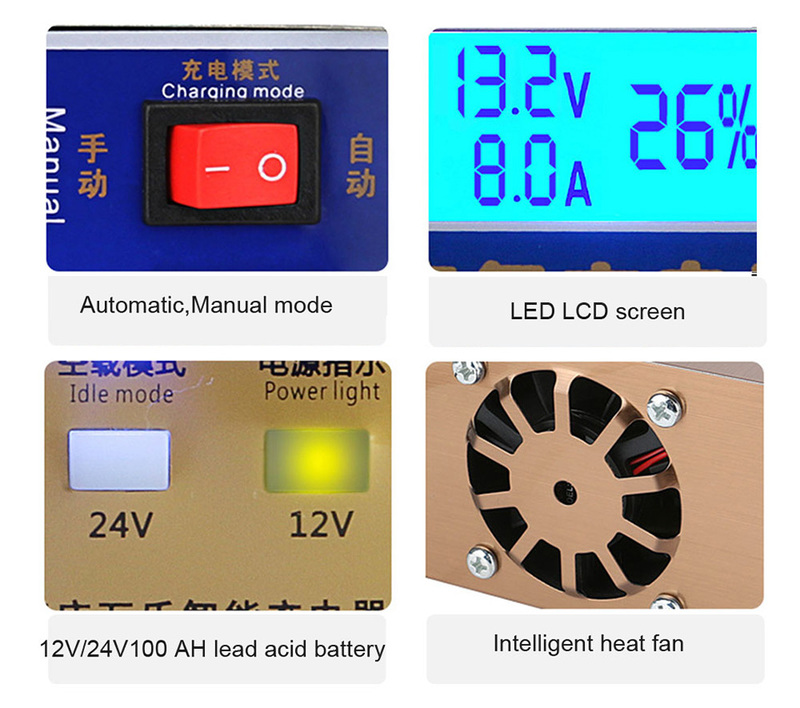 LED screen: it shows both voltage and current, charging Percentage and differnt charging mode with Chinese. 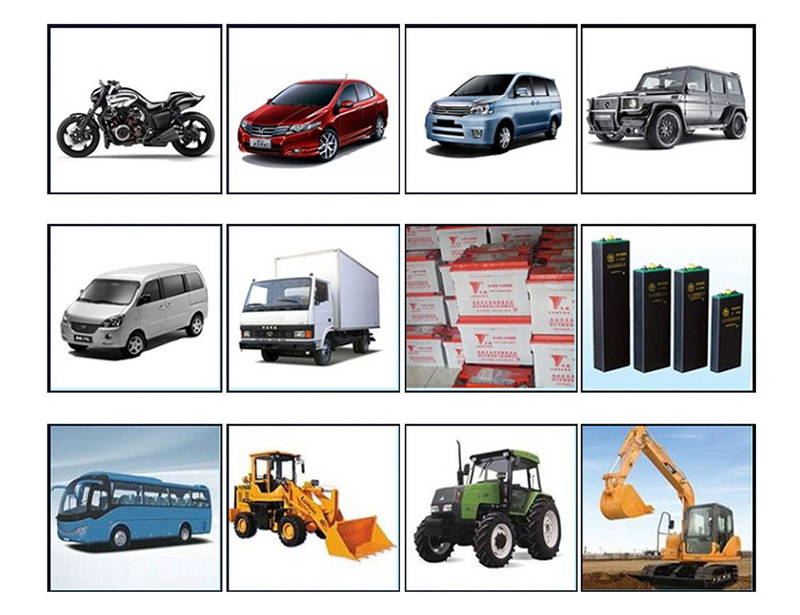 including GEL, UPS, VRLA , Wet or Dry battery , maintenance-free battery.